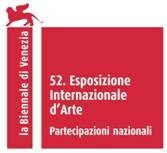 The Venice Biennale, one of most important contemporary art exhibitions thanks to its continuity in time and the many facets of artistic activity it covers, is an event of fundamental importance in the world panorama of the visual arts. As long ago as 1972, the Biennale invited the Istituto Italo-Latino Americano (IILA, the Italo-Latin American Institute), an intergovernmental body in which Italy and the twenty Latin American countries are represented, to organize and coordinate Latin American participation at the exhibition. Since then, the IILA has had its own space to show significant examples of Latin American artistic production, in pursuit of its mission to strengthen Latin American relations with Europe and the world, while also contributing to the promotion of the Latin American region and all those countries that, without their own pavilion, would otherwise be unable to participate in the Biennale. For this year's 52nd edition, the IILA Pavilion will be 16th-century Palazzo Zenobio near Campo Santa Margherita, one of the finest examples of Venetian baroque architecture. The chosen theme is summed up by a single word: Territorios, Territories. The leitmotif will be the idea of territory as a given, circumscribed space shaping us as persons and reflected in everything we do and create. But, beyond this geographical sense of the term, various other aspects will be explored such as the concept of nation, history, nature, politics, domestic space and childhood. The artists whose works will explore the idea of territorios are: Narda Alvarado (Bolivia); Mónica Bengoa (Chile); Mario Opazo (Colombia); Cinthya Soto (Costa Rica); René Francisco (Cuba); Wilfredo Prieto (Cuba); Pablo Cardoso (Ecuador); Manuela Ribadeneira (Ecuador); María Verónica León (Ecuador); Ronald Morán (El Salvador); Mariadolores Castellanos (Guatemala); Andre Juste and Vladimir Cybil (Haiti); Xenia Mejía (Honduras); Ernesto Salmerón (Nicaragua); Jonathan Harker (Panama); William Paats (Paraguay); Paola Parcerisa (Paraguay); Moico Yaker (Peru); Patricia Bueno (Peru); Jorge Pineda (Dominican Republic). Furthermore, IILA will pay a tribute to Jorge Eielson, great Peruvian artist, within its Pavillion.